Aged about 10 I visited Pisa with my parents, a quick stopover during my one and only great big trip to Southern Italy. Piazza dei Miracoli – the only thing we stopped to see – got me awestruck. I can still remember the white marble of the buildings, the green of the grass and the blue of the sky. In my child eyes the Leaning Tower looked just about right with its quirky physics. What I didn’t know back then was that in 15 years I would have been back. As a resident. I belong to that lucky share of the population who studied what they love. And I loved to study. After getting my BA and my MA in English and Comparative Literature I had the absolute privilege to be admitted to a post-degree Master in Translation of Postcolonial English Literature at the University of Pisa. I call it a privilege because I could accept it without worrying about finding a job right after my graduation. In fact, I took it as a chance to study some more and leave the moment to finally grow up and find a job for later. 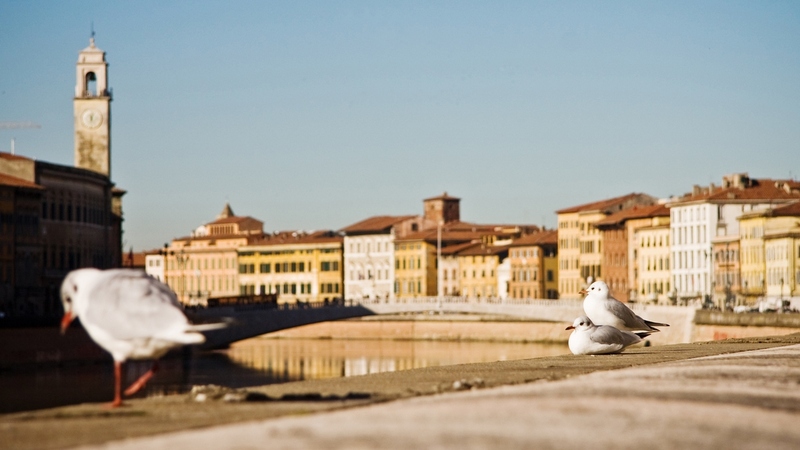 I’d be a student for one more year, so in December 2010 I moved to Pisa. This was a time in my life when I was desperately trying to figure out who I am, aimlessly. This was also the slowest term of my life. 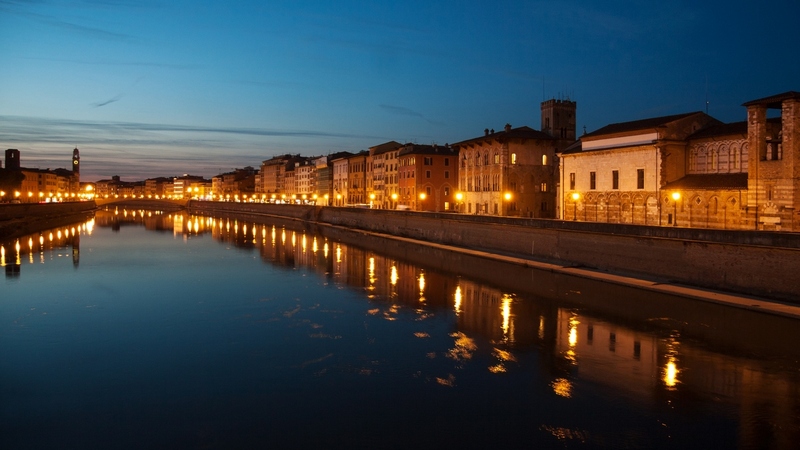 I had rushed through my university years, finishing almost early, I was feeling like I had lived a lot of life in a short time, so when I moved to Pisa I suddenly slowed down. Like in the worst “eat pray love” stereotype, during my Tuscan months I just kicked back and focused on two of my greatest passions: reading and eating. Due to the nature of the studies I was pursuing, I buried myself in books. Given the amount of study time I had, I turned to the kitchen. I had discovered a love for baking only a few months before, and I brought this new love with me to Pisa. I also self-proclaimed “mamma” of the household and started cooking for my flatmates. I guess I just needed to feel useful in some way and food gave me purpose. I was feeding both my brain and my stomach. Quickly enough I got to learn that winter can be pretty annoying down there. Humidity is insane and is responsible for making a temperature like +2°C feel like -7°C. This, combined with the smallest of radiators in one of the biggest rooms I’ve ever rented caused that winter to be one of the coldest I have ever experienced. Only two years before I had found myself in Oslo throughout a proper Norwegian winter and never had I felt as cold indoors as I did while in Pisa. The rain was also a curse. I come from northern Italy, when it’s cold enough in the winter, rain will turn into snow. Not in Pisa. It never really went below zero – only felt like it – and it rained a lot. Still, I was new to the place and I remember finding it pretty charming on the days when the rain was not around. It actually did snow once, and it was a pretty special thing to witness. 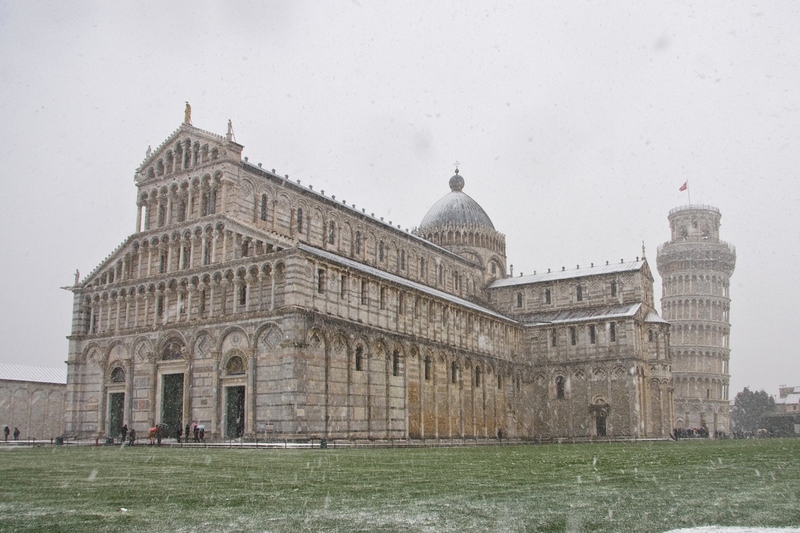 I made sure to go back to Piazza dei Miracoli, that charming place that had stolen my heart a decade and a half earlier, to see the snow falling over the Leaning Tower. No blue sky, no green grass, now the whole landscape was turning white right in front of my eyes, and it was magical. The following morning proved even better. The night had chased away the clouds and a frosty pink dawn was making its way over the city. I woke up pretty early to go to class and found the city waking up under a light dusting of snow. This was ever prettier than the unusual sight of snow in Piazza dei Miracoli. I come from up north in Italy, and as great as the produce is all over the country, obviously the more south you go, the better the selection. Pisa is the southernmost place where I lived, and the produce section at the supermarket was a dream. Access to super fresh ingredients at a shockingly low price was what fueled my culinary ambitions. Baking was what had drawn me to the kitchen, but I soon learned to cook pretty much everything. I was able to feed myself before, but it had never really gone much further than that – feeding myself. I would at times cook for guests, for the sake of treating them to something Italian, but that was it. In Pisa food took a whole new role in my life and I started enjoying making the food more than actually eating it. I started observing what happens when you make food, analysing it, understanding it. In Pisa I picked up more skills than just those that my Master in Translation provided. 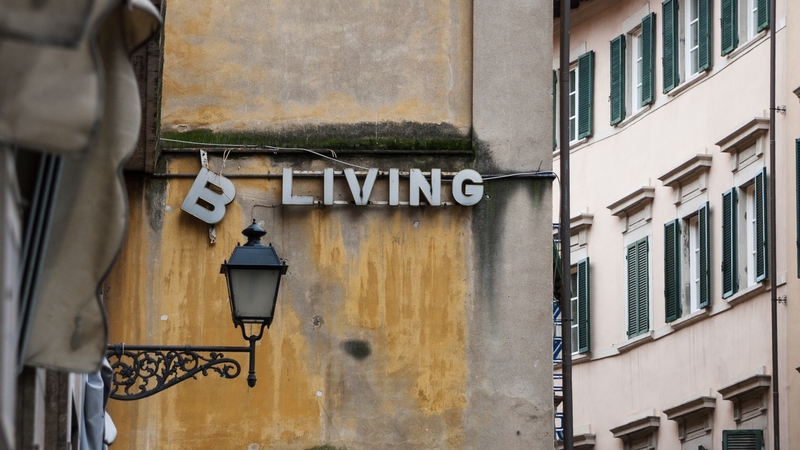 After 7 months in this Tuscan town I was feeling like it was time to move on. As soon as my Master was over, I left. Pisa is a strange town. Its inhabitants are among the friendliest people I met, the city is quaint and has a somewhat relaxed tempo, the food is great. Yet, I couldn’t really find my dimension there. I know of people I met during my Master who stayed. I didn’t. I longed to leave. After 7 months I felt like I got all I needed from that place and I was ready to leave. Another adventure was planned for the following months and that probably added up to my urge to change place. It was a very hot day that June morning when I packed up all my belongings in the truck of the car. Surprisingly, leaving didn’t make me feel sad. And then, one night, it all looked like a fairytale. Luminara di San Ranieri, 2011. The last beautiful memory of Pisa I hold in my heart is from a handful of days before I left. On the evening of the 16th of June candles and lights are placed all around every window and a firework show is set up over the river Arno. That night the city celebrates its patron saint, San Ranieri, on the eve of his feast day. The celebration is called Luminara di San Ranieri and is by far one of the most spectacular sights I’ve experienced in Pisa. 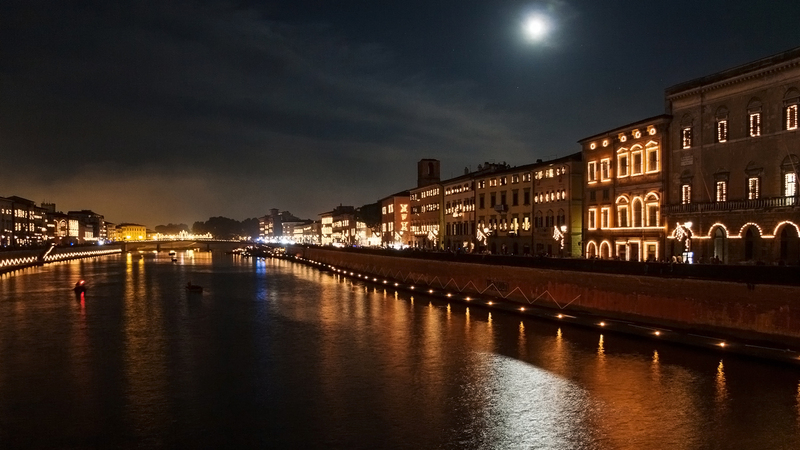 The picturesque houses reflecting in the river seen from the many bridges were one of my absolute favourite sights, but when that night I saw the river shining with the reflections of all these candles – all under a perfect moonlit June night – I realised that I had been really lucky to get to spend a little chunk of my life in that city. In that corner of Italy that tourists love so much. Time of my stay: December 2010 – June 2011. 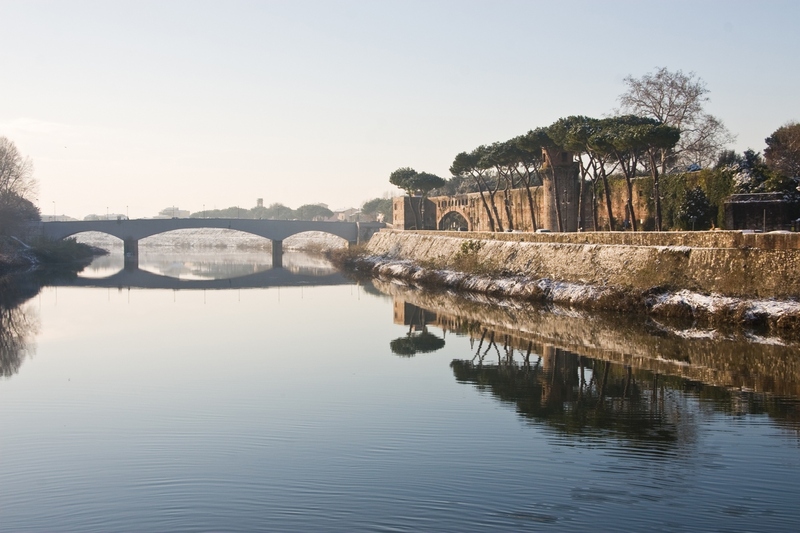 Favourite place to get lost: anywhere along the river Arno. Favourite eatery: PizzaMania O’panuozzo for pizza, Orzo Bruno for beer. Greatest adventure from there: a road trip through Tuscany. Best lesson learned: living with a cat is awesome.